I have to put in some blogging hours before I get out of the habit again. As I have said I have a lot of story backlogs but I would love to continue on with my impossible Visayan journey early this July. Our second leg took us to the legendary island of Siquijor. As early as 8 am we left Dauin town to make it to a midday ferry ride going to the alleged island home of wizards and witches, which they collectively call as mangkukulam and mambabarang. 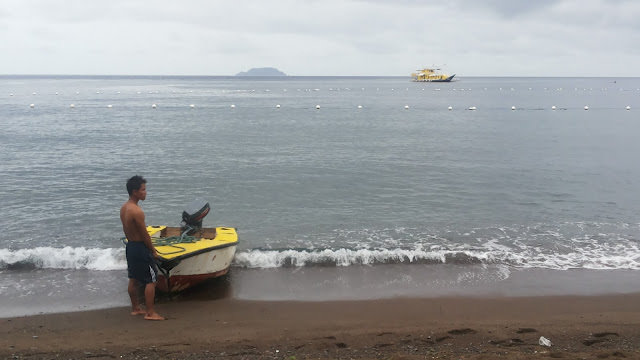 We were supposed to ride a 12:30 PM ferry (for a 30 minute trip) but as soon as we reached the Dumaguete Pier we were practically forced (even bullied) by the porters and fixers to ride a slow boat which takes 1 hour, slower by 30 minutes. I just found myself dragging my bag to an about small to medium sized vessel, almost resembling a small ship. In less than 15 minutes, Pinky and I reached an 'airconditioned' room inside the boat with a battery of bunk-style double beds. Five minutes after, we have settled into our assigned bunks. We then heard a loud rustling sound of metal and in no time at all, we were told we were already at sea. I looked at my watch and it was 11 AM. The sea trip indeed lasted an hour. I counted the minutes as I discovered there was no internet signal. my Cel indicated that smart had a low reception. But the fellow lying down on the next bunk seemed to have a signal as the whole hour he had his mobile phone stuck to his ear. I myself contented with the few lives I had reserved in my Pet Rescue game installed on my cel-phone which easily got exhausted after 20 minutes. Our bunk room had 3 windows and I could not see the view of the sea from the lower bunk bed I was assigned to. Pinky who was at an upper bed just uttered 'we are a few hundred yards from the shore' that I realized that the hour was up. When we got out of the boat and onto land, I looked at my watch. It was 12:15. We were on time by the boat's schedule but very much ahead of our intended itinerary. The first thing we looked for was the schedule of the ferry on the next day, as we decided to stay in Siquijor overnight and head for Cebu on a Monday, it was Saturday. We asked the tourism desk located at the gate of the Siquijor Pier. They gave us two options. 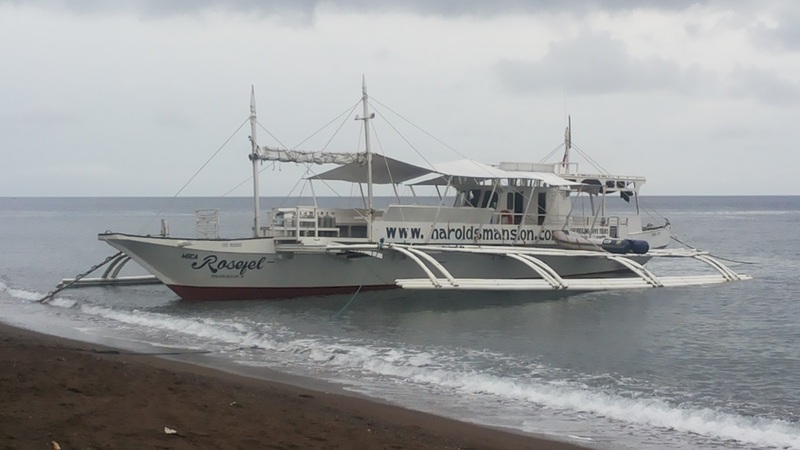 There were several trips going back to Dumaguete on Sunday. It would mean that we would have to return to Negros Island, stay overnight and ferry again to Santander in Cebu Island early on Monday. To reach Cebu City we still would have to ride a four-hour bus trip from Santander going north. I thought it would be too taxing for us to do all these transpo-transfers. Option two presented to us was by shear luck. Since we wanted to leave on a Sunday, the same boat that took us to Siquijor would go back there on Sunday night at 10 PM and head straight to Cebu City. We would reach Cebu Pier before 6 AM Monday. We decided that we would take option 2 as it would omit one accommodation night in Dumaguete, the tiring transfers and it would mean that we have one full day on Sunday to go around Siquijor. We were confident that we got one problem solved. 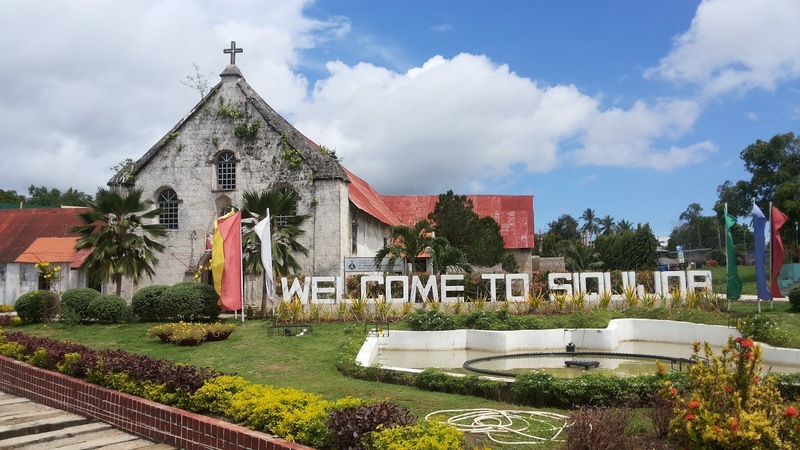 Our experience on the island of Siquijor could not be told in one sitting. 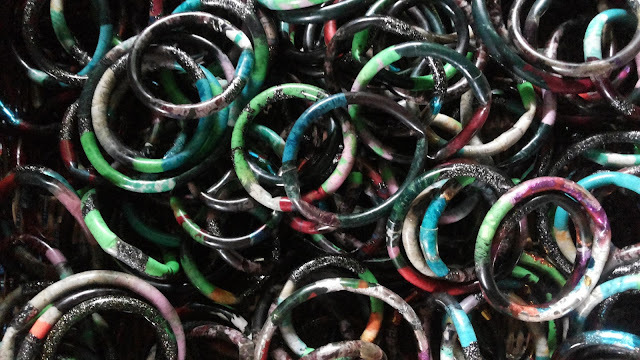 But for this blog session I would have to tell you about what we did first on the island. Pinky did not feel well the night before as she had some stomach cramps. I too had an allergy attack because the room we stayed in Dauin was quite dusty. Before we decided on where we would stay to sleep, we hired a tricycle to bring us to traditional healer. We had no idea where, so we relied on our driver to recommend where we could find one. He said he knew a good healer and he drove us off from the pier straight into the steep roads leading into the mountains. Pinky decided to ride behind the driver Ronald. It left me with a lot of elbow room to admire the flora of the adjacent hillsides into the mountain. It was about close to an hour trip going up the rolling terrain. The mountain is still significantly covered with greens. 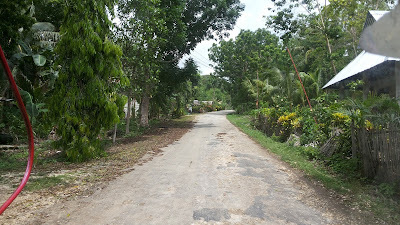 There were many tree varieties but are already interspersed with the expected exotic mahogany, native batino and dita, and several palms including buri, coconut and another that Ronald called 'ubod' (which I suspect is a Heterospathe). I almost got a stiff neck looking from left to right while staring at the surrounding vegetation. Later on the trees and greens were interrupted with the presence of a few houses and eventually it became obvious we reached a residential area, a small barangay up the mountains. When we saw the church, it was then that Ronald told us that we have reached the town of San Antonio. 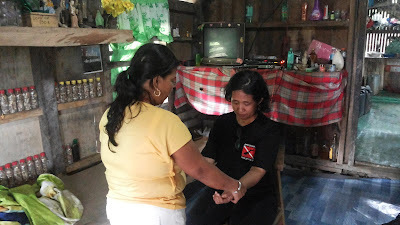 A few more minutes we reached the house of the healer. 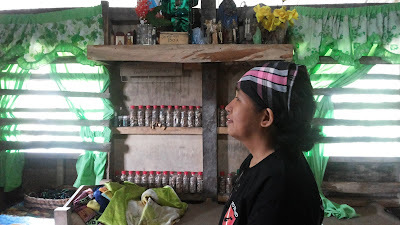 The traditional healer's home was a typical rural house and it had a small sari-sari store in front. As we entered we were greeted by Ate Annie who just arrived coming from the town to buy supplies. She immediately attended to us asking what we were feeling that was not right. She proceeded doing her healing on Pinky first. The ritual consisted of initially telling Pinky to sit on a wooden chair in the middle of the small room. She then covered her with a heavy blanket neck down and smoked up a small pot underneath the chair, which appears to contain some herbal stuff which smelled like incense. Ate Annie massaged Pinky from the head to the neck while murmuring some prayer incantations. When it was my turn she did the same steps on me, but also asked me to lie face down on a bamboo bench and massaged my back. Some of her massage strokes were really painful. But overall it felt relieving, especially after it was over. After an hour we found ourselves again riding on Ronald's tricycle, on our way down the from San Antonio to Siquijor town proper. When we reached our Siquijor accommodations (Villa Marmarine) we got to rest for only an hour and we already had the energy to explore the beach and enjoy the sunset. That night I coughed less and slept quite comfortably, considering our room was not air-conditioned at all. Pinky said she slept very well. Probably the Siquijor mistique was quite agreeable to us, which properly prepared us for a jam-packed schedule of sightseeing the following day. A month ago, a few college friends planned on meeting in Cebu for a late summer reunion. We were to meet our friend Minnie in Tacloban a day or two after we all rendezvous in the queen city, we all agreed. 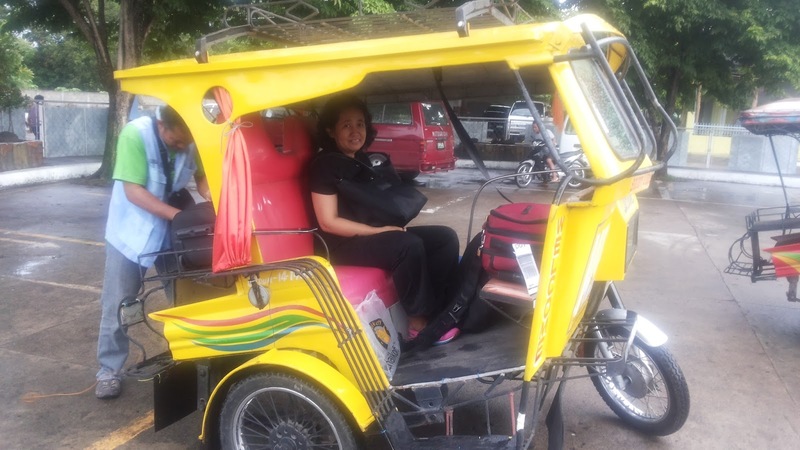 Pinky offered to book our flight and I asked her if it is possible for us to plane into Dumaguete instead of Cebu, ferry going to Santader and ride the bus going into Cebu City. She agreed because she wanted to see Apo Island which was near Dauin, a town away from Dumaguete city proper. 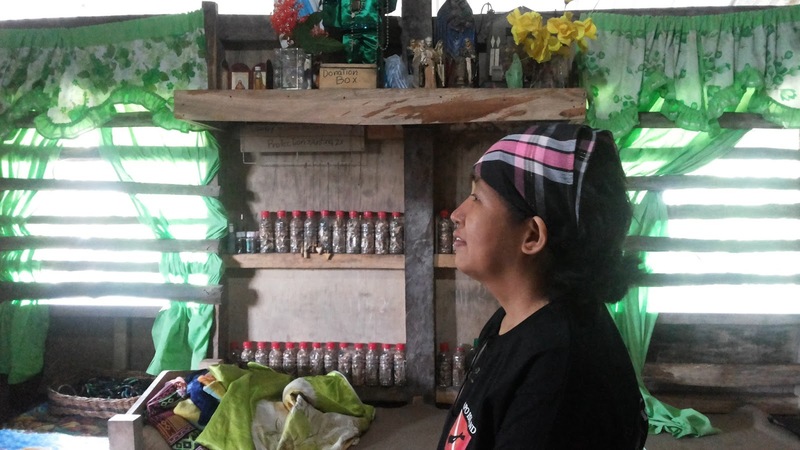 Two days before our planned flight we learned our other companions begged off from the trip and that it was only Minnie who confirmed to meet us, but she could only do so in Tacloban City. So the only thing sure is that we would arrive via Dumaguete airport and that we would have to reach Tacloban to meet Minnie and take the plane there going home to Manila. Time frame set is 6 days. Pinky and I only had Apo Island definite on our itinerary. All else were left written on air. On day 1 our plane arrived in Dumaguete at 6 am. We collected our baggage (we tried to pack light which I found impossible for someone as big a person as me) and tried to locate a tricycle which would bring us to Dauin. 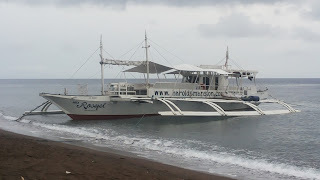 Pinky booked us online on a day trip to Apo Island via the Dumaguete Divers' Cafe. We had to reach the cafe by 7:30 am if we were to make the booked banca leaving at 8 am. We made it with a little more time for the cafe to prepare our submarine sandwiches which they packed as our lunch. 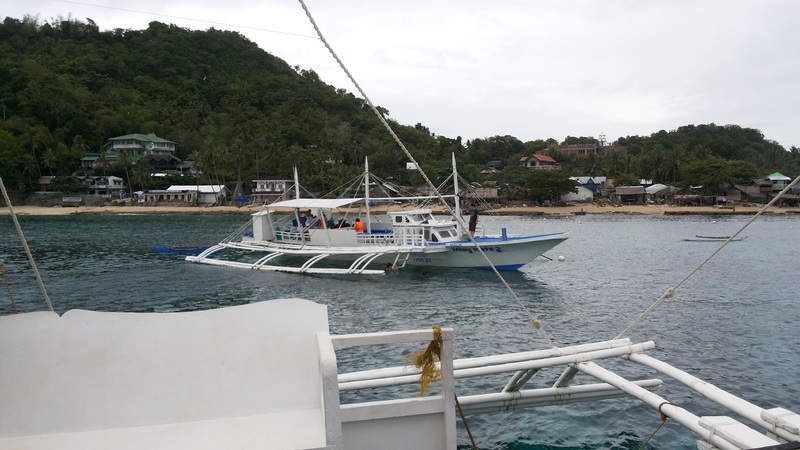 The travel to Apo Island was a little less than an hour long. The sky was quite cloudy, ideal for the boat ride but not so lovely seen in the pictures. But i tried to manage. 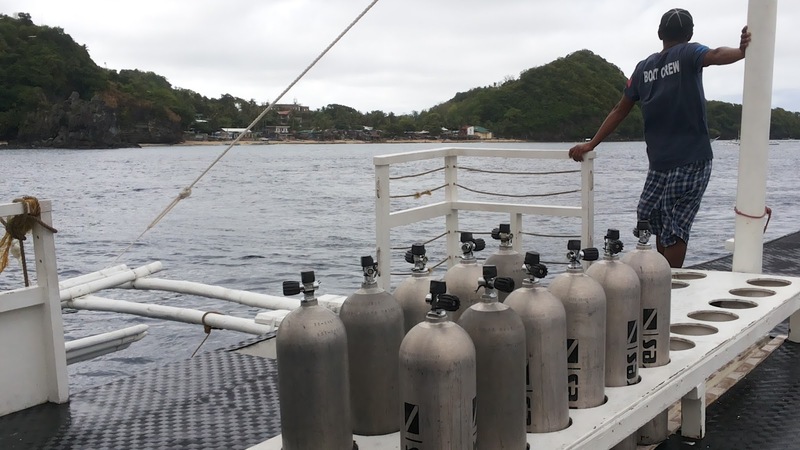 When we arrived at the fringes of Apo Island, the banca's operators told us we were to make 3 stops on our day trip and we could swim and snorkel for 30 minutes to an hour at each stop. We travelled with a few foreigners, a couple (who looked middle eastern and went on scuba diving) and 3 other guys (another middle eastern-looking fellow and two Japanese). All, including Pinky, went down into the water to snorkel. I on the other hand stayed dry on the banca, catching up on sleep (I attended a seminar the night before which ended quite late). In between my catnaps, I managed to take pictures of the limestone cliffs of the island. I saw a magnificent contrast of greens, as the island is still significantly covered with lovely trees and vegetation. 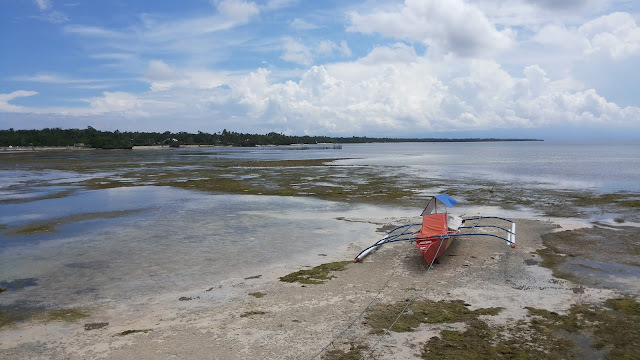 I hope it stays that way conserved, the same way that the local community has conserved and revived their coral reefs (the reason why tourists are flocking to this part of Negros to dive). Pinky also took a few underwater pictures (she was armed with a small underwater camera). At 2 pm the boat was on its way back to the mainland. We welcomed the idea that we could go back to dry land and try find a place to stay in Dauin. We took a quick bite again at the Diver's Cafe. At 4 pm we found a decent in a few hundred yards from the cafe, beside the beach. But instead of trying to maximize our adjacency to water recreation, we used up the rest of the trying to catch up on sleep. We needed it as we still had 5 days ahead of us, with no solid itinerary. I saw this botong fruit on a beach in Siquijor. Botong (Barringtonia asiatica) is a very common tree in beach areas around the Philippines and the rest of the tropics, but i did not see a single tree on the beach where I saw the fruit. It probably came from a tree in the next cove, or from another island, or another province. I may never know but what is certain is that this fruit is here and if conditions are right, it may grow into another botong tree. Sadly these and other foreign stuff are also present on the beach. All 13 of us, myself, 7 students and 5 other volunteers mounted 3 small boats donning mandatory orange life vests. Even with the sun's scorching heat I enjoy taking the river ride because of the scenery and of course the prospects of finding flowering plants among the hanging vines and tall trees. Apart from the flowering malabulak (Bombax ceiba specimens), our companions Ronald and Uly spotted a blooming mistletoe (Uly and Ronald are fond of mistletoes). But because the plant specimens are quite high up on the tree branches, we did not get clear pictures. But I took snaps of the mountainsides to show how some areas are green, but a few spots are obviously bald - void of vegetation. On a positive note, the U.P. Mountaineers' narra trees are growing steadily. Some are already small tree height. Thumbs up! Quick Post: It is February and of course like clockwork the malabulak (Bombax ceiba) trees are in full bloom! And it is very noticeable particularly in the area from La Mesa Dam to Ipo Dam in Bulacan. 5 minutes would not get by without encountering a flowering specimen. And with the bright red orange flowers, it is really hard to miss! In the Ipo Watershed the adjacent mountains are colored with greens but the red orange silhouette of Bombax stand out from the verdant color. I've been wanting to see a flowering specimen of Dendrobium victoria-reginae, which is regarded as one of the best native orchids of the Philippines. It is rare to find in Manila as conditions are too hot tfor it to bloom. Today I was very lucky to see not one but two specimens of this orchid in bloom in the gardens surrounding Tagaytay. It is indeed beautiful with the bright violet flowers! 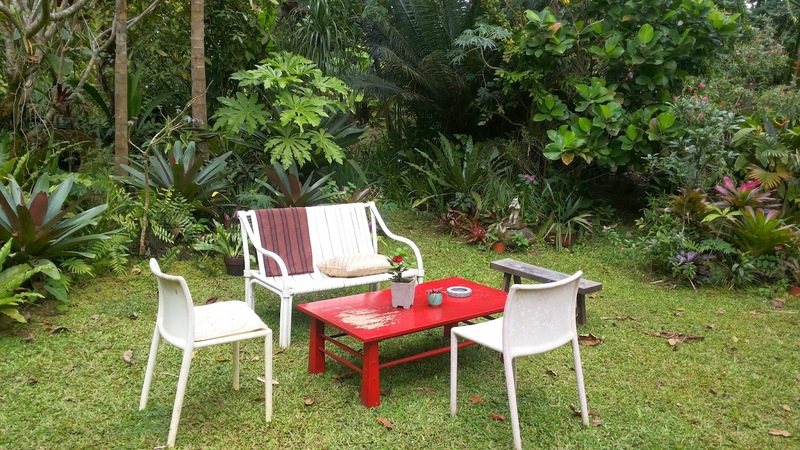 They probably feel at home amidst the cool January breeze blowing into the Tagaytay rim. The last time I was in Popo San Pascual's garden was five years ago. Today we found ourselves again driving through his gates and into his marvelous garden. 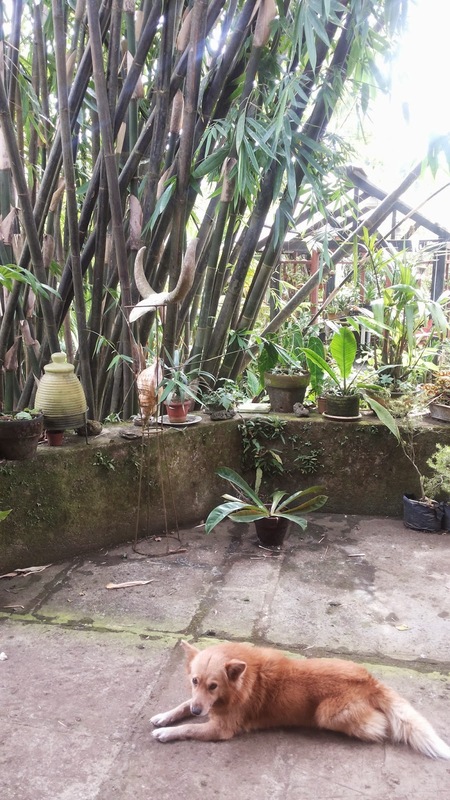 The artist is really indeed a plant lover as his plant collection remains lush. The garden is with a few additions for the better. He now has an Asian inspired archway adorned with porcelain oriental dishes. I never get tired visiting Popo's place with the rich detail and whimsical rustic character. Whenever I see a large biga I always assume that it is Alocasia macrorrhiza. But when I saw one in a ditch last week, Ray Ong called it by another scientific name, Alocasia odora. He said that A. macrorrhiza is usually smaller and A. odora large. But some botanists would lump it up all as A. macrorrhiza. Another thing confusing is that in one location, there were different forms. One is all green (leaves and stem), the other had brown speckled stems (regarded as zebra stripes hence the Latin monicker zebrina). One even has more round leaves than the others. From afar they all look the same. I wonder if all of them are A. odora...or A. macrorrhiza...or another species. I am blogging this because I promised my friend Faith Varona that I will write a blog about U.P. 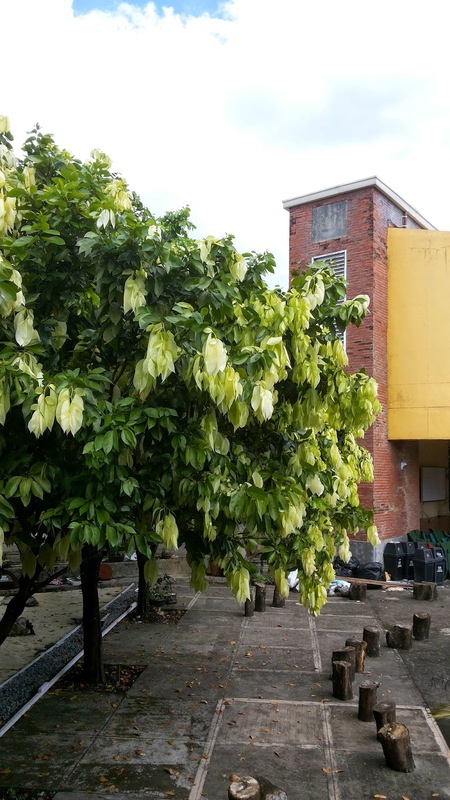 I choose to blog about the balitbitan trees in the College of Architecture. Ten years after graduating college I decided to go back to school to take my Masters in Tropical Landscape Architecture. I chose to apply in UPCA again and that was in 2005. At that time, the college had just transferred from its old facilities in Melchor Hall, above the College of Engineering. Arki's new home was a complex of two buildings, the refurbished CPDMO headquarters and a new drafting edifice beside it. The renovated structure had an almost entirely concreted atrium in its design. At one side of the atrium were three empty square holes, where shade trees were intended to be planted. I remember that as a graduate school freshman, it was one of my teachers, Professor Zenaida Galingan, who was given the task of choosing a tree species to plant in the atrium. At that time her team was perplexed what species to select as they were plagued with some limitations. The planting holes were practically 1 square meter in area. The holes were only a few meters apart. Each of them is also shallow as the old building practically stands on an adobe foundation - which was hard to dig. And the BLA program personnel were more familiar with the popular landscape and nursery varieties which were dominated by exotic species. I think it was after a semester when I next heard that they have chosen a particular species to plant in the Arki atrium. 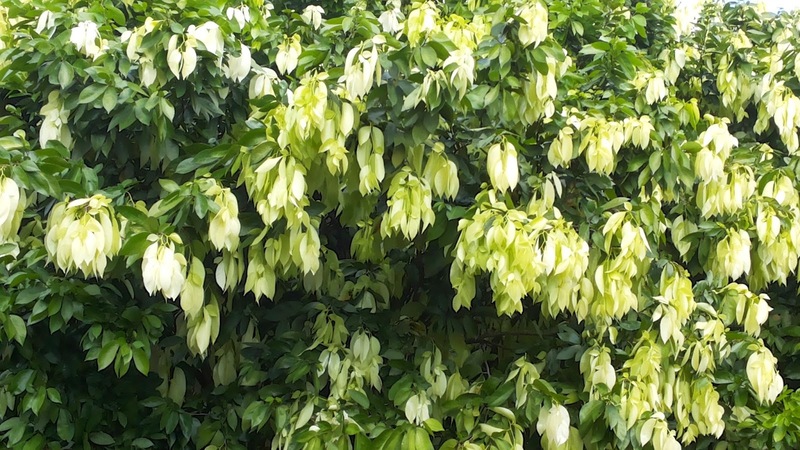 Their choice was a native tree called balitbitan or Cynometra ramiflora. 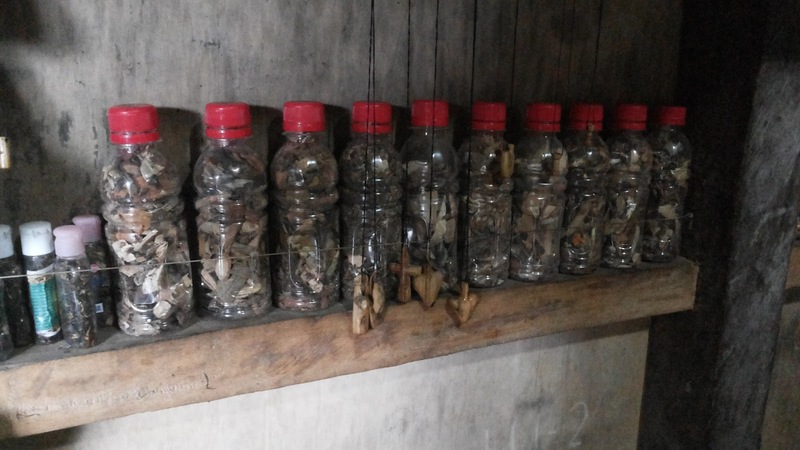 The seedlings they would acquire were donations from a BLArch alumnae, UPLB Professor Susan Aquino Ong. She visited the college to talk about the plight of her beloved leaning Dracontomelon dao tree in the UPLB, which was almost cut down because of its tilted growth. 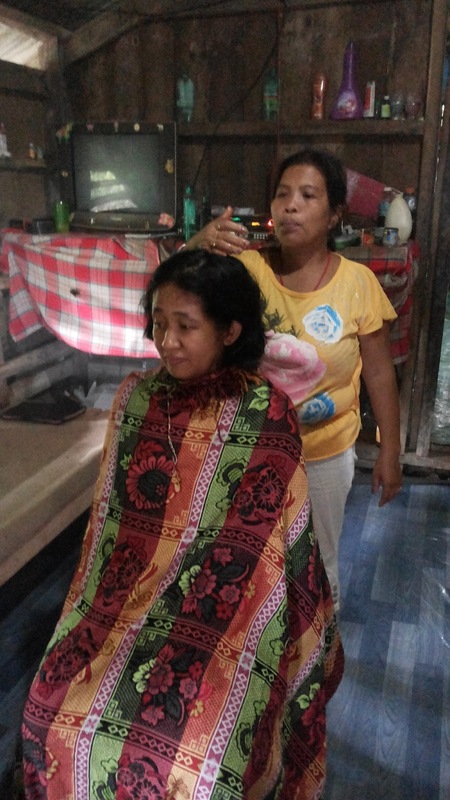 Honestly I was surprised to learn about the balitbitan choice. For one I thought the tree is big and would probably not survive the confined growth because of the small planting hole. It also does not have pretty flowers. 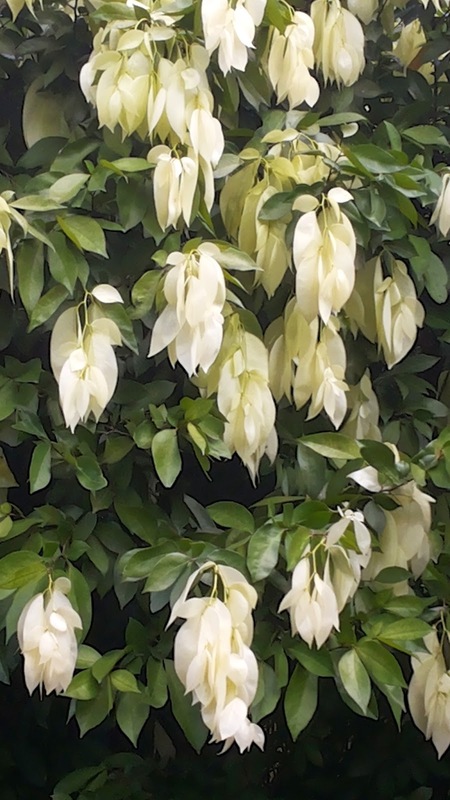 Apart from the appearance of the occasional white young leaves, the tree is unremarkable, except that it has a full canopy and a stately stance. In my mind I uttered there are far more attractive candidates worthy of the space. Three balitbitan seedlings, a couple of meters tall, arrived a few days later and were eventually planted into the holes. As I progressed with my graduate studies, I saw the trees grow from lanky saplings into sturdy young specimens. I became more fond of them. 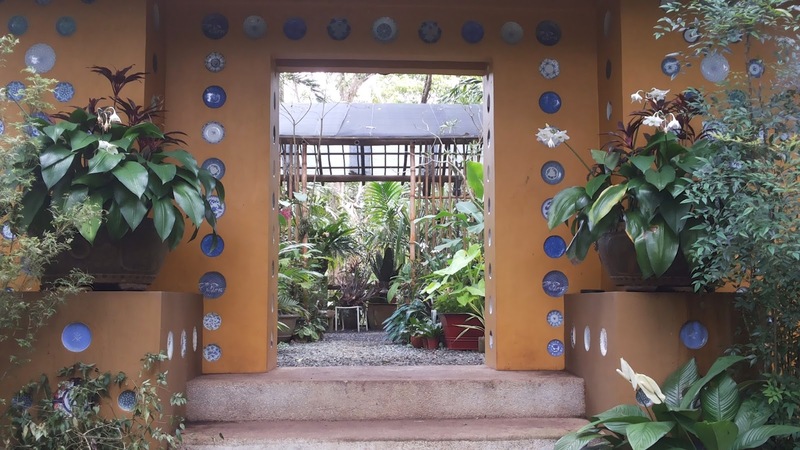 Towards the latter part of my 5-year graduate school stint, I have learned about the importance of the balitbitan's choice in the Arki atrium landscape. 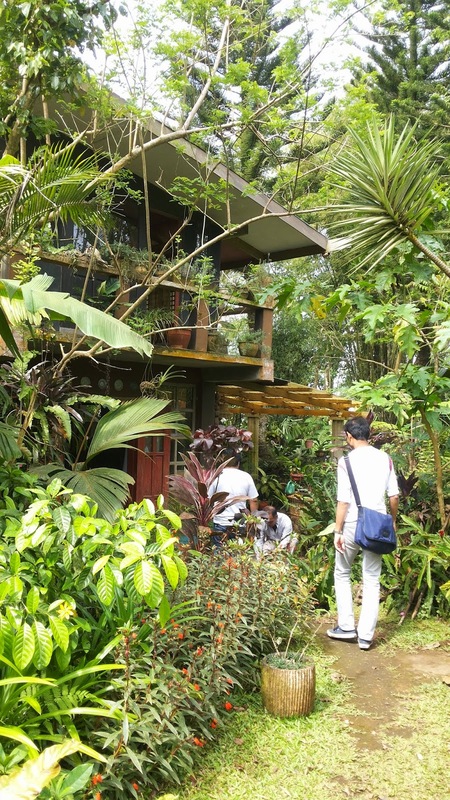 Professor Susan Aquino Ong's prerogative actually ushered in the importance of planting native species into landscape design. This started an awareness in me and others in the college as it trickled into the psyche of the landscape students like myself. A simple suggestion was probably a small move then but now the repercussions of it is strongly experienced in Arki. The BLArch students are becoming aware of what are native plants and their importance in the environment. Today, almost a decade after, I am no longer a student but a teacher in my former college. The three balitbitan trees stand much taller and far too bigger than what I expected. For years I witnessed them bringing out their iconic white leaves and I have watched the leaves turn from from light color to dark green. Their habit and appearance have become a vital part of the atrium's landscape. 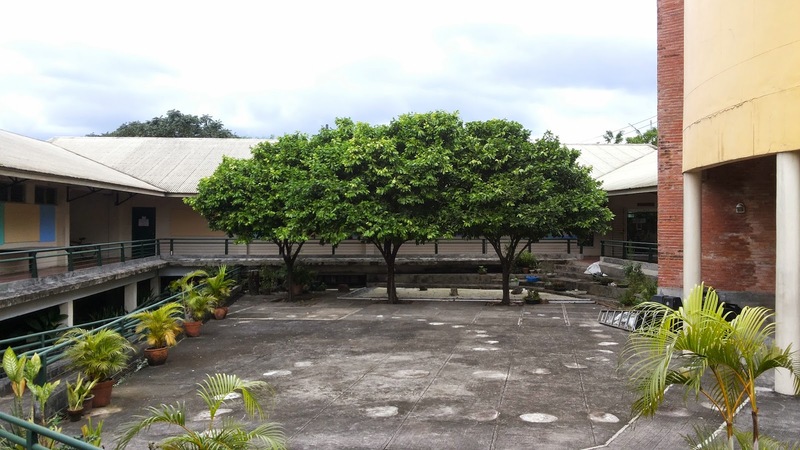 The balitbitan trees were the first native trees to be planted into the College of Architecture's new complex. As Arki is in the process of erecting its new building and expanding its facilities, a few more native plants are finding themselves into the design. For now the new amphitheater used another native into its design, Eucalyptus deglupta or bagras. Hopefully there will be more to follow in the future.